Cosmic Rays Hit Space Age High – highest in 50 years; but not to worry, say government scientists; unless you’re going to Mars. Cosmic rays are amusing little baubles that may once every so often somehow ruin a computer chip. One might notice that cosmic rays are far above the intensity predicted by scientists; just like global temperature is far below the values predicted by scientists, particularly NASA scientists. Deep solar minima are innocuous, too, NASA would have readers of this press release believe. The omission in this article of reference to the historical significance of deep solar minima is unconscionable; but it is also a matter of standard practice. Further, don’t suspect that cosmic rays might have some connection with climate-altering, energy reflecting, low cloud formation. NASA scientists are happy to give you one-eighth of the story; unless the “polluting” effects of carbon dioxide are involved. Galactic cosmic rays come from outside the solar system. They are subatomic particles–mainly protons but also some heavy nuclei–accelerated to almost light speed by distant supernova explosions. Cosmic rays cause “air showers” of secondary particles when they hit Earth’s atmosphere; they pose a health hazard to astronauts; and a single cosmic ray can disable a satellite if it hits an unlucky integrated circuit. The sun’s magnetic field is our first line of defense against these highly-charged, energetic particles. The entire solar system from Mercury to Pluto and beyond is surrounded by a bubble of magnetism called “the heliosphere.” It springs from the sun’s inner magnetic dynamo and is inflated to gargantuan proportions by the solar wind. When a cosmic ray tries to enter the solar system, it must fight through the heliosphere’s outer layers; and if it makes it inside, there is a thicket of magnetic fields waiting to scatter and deflect the intruder. 3. The current sheet is flattening. Imagine the sun wearing a ballerina’s skirt as wide as the entire solar system with an electrical current flowing along its wavy folds. It’s real, and it’s called the “heliospheric current sheet,” a vast transition zone where the polarity of the sun’s magnetic field changes from plus to minus. The current sheet is important because cosmic rays are guided by its folds. Lately, the current sheet has been flattening itself out, allowing cosmic rays more direct access to the inner solar system. […] examines the history of environmentalism, rooted in Rachel Carson’s famed 1962 book, Silent Spring, which led to a ban on DDT. This ban was disastrous for people in the developing world because DDT was the cheapest and safest way of combating malaria. An estimated 30 million people died when the DDT ban left them vulnerable to malaria. Not Evil Just Wrong exposes the full impact of robust and crushing environmental restrictions on the people of Uganda, before returning back to the United States to see how those same policies could impact American families in small towns like Vevay, Indiana. 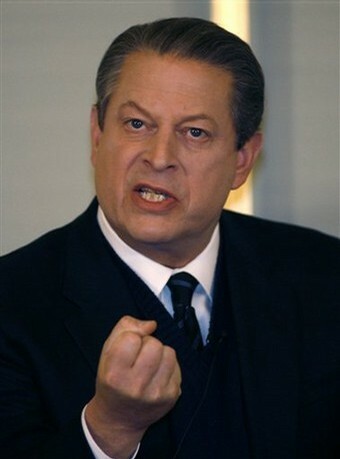 Not Evil Just Wrong also shreds outrageous claims made in Al Gore’s award-winning film, An Inconvenient Truth, and rips apart academics and actors alike as they promote bad science to raise money for “green” initiatives. I prefer “Wrong is Evil” but for 19.95 you can decide for yourself. At least, the murder of 30 million Africans by Elite Environmentalists, or the elimination of the Evil ozone hole (which is still with us but no longer Evil), at unknown cost in lives of asthmatics (freon for inhalers now costs 4 times as much), seems Evil with a capital E to me. In 1970, Congress passed the Racketeer Influenced and Corrupt Organizations (RICO) Act, Title 18, United States Code, Sections 1961-1968. At the time, Congress’ goal was to eliminate the ill-affects of organized crime on the nation’s economy. To put it bluntly, RICO was intended to destroy the Mafia. Throughout the 1970’s, RICO’s intended purpose and its actual use ran parallel to each other. Seldom was RICO used outside of the context of the Mafia, and it is not an overstatement to say that civil claims under RICO were simply not brought. In the 1980’s, however, civil lawyers noticed section 1964(c) of the RICO Act, which allows civil claims to be brought by any person injured in their business or property by reason of a RICO violation. Any person who succeeded in establishing a civil RICO claim would automatically receive judgment in the amount of three times their actual damages and would be awarded their costs and attorneys’ fees. The financial windfall available under RICO inspired the creativity of lawyers across the nation, and by the late 1980’s, RICO was a (if not the most) commonly asserted claim in federal court. Everyone was trying to depict civil claims, such as common law fraud, product defect, and breach of contract as criminal wrongdoing, which would in turn enable the filing of a civil RICO action. RICO’s broad application was the result of Congress’ inclusion of mail and wire fraud as two crimes upon which a RICO claim could be brought. Given the breadth of activities that had historically been criminally prosecuted under the mail and wire fraud statutes, it was not difficult for creative civil attorneys to depict practically any wrongdoing as mail or wire fraud. During the 1990’s, the federal courts, guided by the United States Supreme Court, engaged in a concerted effort to limit the scope of RICO in the civil context. As a result of this effort, civil litigants must jump many hurdles and avoid many pitfalls before they can expect the financial windfall available under RICO, and RICO has become one of the most complicated and unpredictable areas of the law. Today, RICO is almost never applied to the Mafia. Instead, it is applied to individuals, businesses, political protest groups, and terrorist organizations. In short, a RICO claim can arise in almost any context. The purpose of this website is to simplify this very complicated area of the law and to articulate and make more predictable the legal standards that govern such claims. We, the entire nation, have ACORN cold, on video with outrageously clear audio, engaged in racketeering, and organized crime – exactly what the RICO Act was designed to prevent. Not only child prostitution; also tax fraud, loan fraud, conspiracy to import illegal aliens. We have a consistent pattern of conspiracy and organized criminal activity not just in Baltimore, but in Washington, D.C. also. All this is captured on video tape. We have Obama training, and establishing operational methods, in ACORN since 1992. We have Obama strongarming banks, as part of an organized, widespread, and well documented practice. to write unsound mortgages that could not be repaid; which mortgages would later destroy vast portions of the wealth of the entire world. We have massive documentation of perennial, repeated, and widespread voter fraud perpetrated by ACORN, which was trained by Obama. And we have Obama and the US Government funding ACORN organized crime. 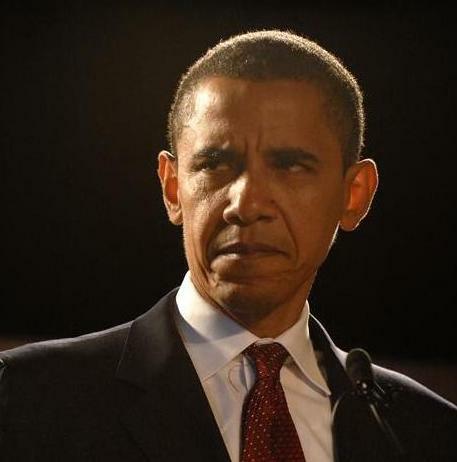 We have Obama’s campaign funding ACORN, and funding its criminal activity that Obama organized. A RICO investigation; no, three or four DOZEN RICO investigations, are long overdue. Obama is into this organized criminal activity well passed his eyeballs. One of Barack Obama’s first big “community organizer” jobs involved ACORN in 1992. Obama also trained ACORN employees. He represented ACORN in court. Obama worked with and protested with ACORN. His campaign donated $800,000 to ACORN this year for voter registration efforts. And, ACORN even canvassed for Obama this year. It looks like ACORN’s hard work paid off. Democrats funneled $8.5 billion of taxpayer money to the corrupt ACORN Organization this year. Earlier this year democrats voted to fund groups like ACORN. Now today, we find out that the Democrats favorite community organizers are pushing teen prostitution. It figures. Big Government has the undercover investigation that the state-run media is ignoring. History shows a warm Earth is a pleasant Earth, generally speaking. The real, historical, hob-goblin of life on Earth, is The Chilling Stars. Carbon dioxide is a blessing (and its detractors are idiots). “No Climate Model has predicted a cooling on Earth . . .” Svensmark is modest to a fault. Svensmark himself uniquely predicted it. Indeed, global warming stopped and a cooling is beginning. No climate model has predicted a cooling of the Earth, on the contrary. This means that projections of future climate is unpredictable, writes Henrik Svensmark. The star which keeps us alive, has over the last few years almost no sunspots, which are the usual signs of the sun’s magnetic activity. Last week, reported the scientific team behind Sohosatellitten (Solar and Heliospheric Observatory) that the number of sunspot-free days suggest that solar activity is heading towards its lowest level in about 100 years’. Everything indicates that the Sun is moving into a hibernation-like state, and the obvious question is whether it has any significance for us on Earth. If you ask the International Panel on Climate Change IPCC, representing the current consensus on climate change, so the answer is a reassuring ‘nothing’. But history and recent research suggests that it is probably completely wrong. Let us take a closer look at why. Solar activity has always varied. Around the year 1000, we had a period of very high solar activity, which coincided with the medieval warmth. It was a period when frosts in May was an almost unknown phenomenon and of great importance for a good harvest. Vikings settled in Greenland and explored the coast of North America. For example, China’s population doubled over this period. But after about 1300, the earth began to get colder and it was the beginning of the period we now call the Little Ice Age. In this cold period all the Viking settlements in Greenland disappeared. Swedes [were surprised to see Denmark to freeze over in ice], and the Thames in London froze repeatedly. But more serious was the long periods of crop failure, which resulted in a poorly nourished population, because of disease and hunger [population was reduced] by about 30 per cent in Europe. It is important to note that the Little Ice Age was a global event. It ended in the late 19th century and was followed by an increase in solar activity. Over the past 50 years solar activity has been the highest since the medieval warmth for 1,000 years ago. And now it appears that the sun returns and is heading towards what is called ‘a grand minimum’ as we saw in the Little Ice Age. The coincidence between solar activity and climate through the ages have tried explained away as coincidence. But it turns out that almost no matter what time studying, not just the last 1000 years, so there is a line. Solar activity has repeatedly over the past 10,000 years has fluctuated between high and low. Actually, the sun over the past 10,000 years spent in a sleep mode, approx. 17 pct of the time, with a cooling of the Earth to follow. One can wonder that the international climate panel IPCC does not believe that the sun changed activity has no effect on the climate, but the reason is that they only include changes in solar radiation. Just radiation would be the simplest way by which the sun could change the climate. A bit like turning up and down the brightness of a light bulb. Satellite measurements of solar radiation has been shown that the variations are too small to cause climate change, but so has closed his eyes for a second much more powerful way the sun is able to affect Earth’s climate. In 1996 we discovered a surprising influence of the sun – its impact on Earth’s cloud cover. High energy accelerated particles of exploded stars, the cosmic radiation, are helping to form clouds. When the Sun is active its magnetic field shields better against the cosmic rays from outer space before they reach our planet, and by regulating the Earth’s cloud cover the sun can turn up and down the temperature. High solar activity obtained fewer clouds and the earth is getting warmer. Low solar activity inferior shields against cosmic radiation, and it results in increased cloud cover and hence a cooling. As the sun’s magnetism has doubled its strength during the 20th century, this natural mechanism may be responsible for a large part of global warming during this period. This also explains why most climate scientists are trying to ignore this possibility. It does in fact favor the idea that the 20th century temperature rise is mainly due to human emissions of CO2. If the sun as has influenced a significant part of warming in the 20 century, it means that CO2’s contribution must necessarily be smaller. Ever since our theory was put forward in 1996, it has been through a very sharp criticism, which is normal in science. First it was said that a link between clouds and solar activity could not be correct because no physical mechanism was known. But in 2006 after many years of work we managed to conduct experiments at DTU Space, where we demonstrated the existence of a physical mechanism. The cosmic radiation helps to form aerosols, which are the seeds for cloud formation. Then came the criticism that the mechanism we have found in the laboratory was unable to survive in the real atmosphere and therefore had no practical significance. But the criticism we have just emphatically rejected. It turns out that the sun itself is doing, what we might call natural experiments. Giant solar flares can have the cosmic radiation on earth to dive suddenly over a few days. In the days after the eruption cloud cover falls by about 4 per cent. And the content of liquid water in clouds (droplets) is reduced by almost 7 per cent. Indeed, [you could say] that the clouds on Earth originated in space. Therefore we have looked at the sun’s magnetic activity with increasing concern, since it began to wane in the mid-1990s. Indeed, global warming stopped and a cooling is beginning. Last week, it was argued by Mojib Latif from the University of Kiel at the UN World Climate Conference in Geneva that cooling may continue through the next 10 to 20 years. His explanation was natural changes in North Atlantic circulation and not in solar activity. But no matter how it is interpreted, the natural variations in climate then penetrates more and more. One consequence may be that the sun itself will show its importance for climate and thus to test the theories of global warming. No climate model has predicted a cooling of the Earth, on the contrary. This means that projections of future climate is unpredictable. A forecast [that] says it may be warmer or colder for 50 years, is not very useful, for science is not able to predict solar activity. So in many ways, we stand at a crossroads. The near future will be extremely interesting and I think it is important to recognize that nature is completely independent of what we humans think about it. Will Greenhouse theory survive a significant cooling of the Earth? Not in its current dominant form. Unfortunately, tomorrow’s climate challenges will be quite different than greenhouse theory’s predictions, and perhaps it becomes again popular to investigate the sun’s impact on climate. Faktisk er den globale opvarmning standset, og en afkøling er så småt begyndt. Ingen klimamodel har forudsagt en afkøling af Jorden, tværtimod. Det betyder, at prognoser for fremtidens klima er utilregnelige, skriver Henrik Svensmark. Den stjerne, der holder os i live, har gennem det seneste par år været næsten uden solpletter, som er det normale tegn på Solens magnetisk aktivitet. You may be examining an important document (below). Someday (too late), scientists might study this important information for a clue about how to recognize solar shutdown. Today, they don’t have a clue. Presuming they find difficulty, intellectual or otherwise, with freezing their axxs off during relentless global warming; but somehow survive it, they might study information like this. History, the bane of the progressive, will repeat and bite him in the axx, every time. Progressives like it, however. Has carbon dioxide let you down, scientist? You are looking a little beat up. Is the CO2 gravy train drying up? Try some sunspots instead. Just remember, we count more today because the tools are better now. Jan Janssens has updated the table as of September 1. I doubt very much if government funding has influenced this data (yet); but greedy statists are not yet involved. With all the highly advanced CO2 greenhouse effect models these boys have dropped $$$BILLIONS developing, one would think they might have a chance of coming a tad closer. On the other hand, maybe the $$$BILLIONS they spent on the CO2 greenhouse models weren’t theirs to start with. I am wondering if government might be involved. Hey, just a hunch. Wait a minute, no; I am certain of it. I am certain government is involved. Hey, let’s put government in charge of everything. Then who will care about Arctic Sea Ice Extent, ever again? Story, sad as it is, here: How have the scientists done on Arctic sea ice forecasts this year? – Maybe not so good.